FM Home Loans, LLC is dedicated to the highest standards of ethics and responsiveness in its effort to meet the changing needs of borrowers in a constantly shifting environment. We make our experience count. The loan officers at FM Home Loans, LLC are personable, educated, skilled and experienced. They work hard to build long-term relationships that result in repeat business and referrals. FM Home Loans, LLC’s expert staff will endeavor to offer swift, courteous and professional service towards obtaining rapid approval. FM Home Loans, LLC will work around your schedule to implement what is in the client’s best interest. As each loan application is unique, we pay utmost attention to our clients’ needs, and offer options that are right for their situation at the most competitive rates and terms. We encourage communication and client feedback. We strive to educate our client on every step of the loan process. We constantly maintain our qualitative edge by soliciting client interaction and implementing astute suggestions. We believe the loan process is a team effort. Our pledge is to prepare each loan with adequate and proper documentation, which is the key to a successful and smooth loan process. Financing your home is a lifetime event. 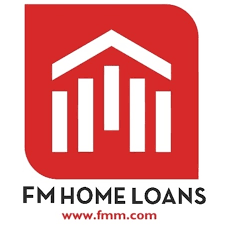 FM Home Loans, LLC’s commitment is to attend to your needs and render the process smooth and hassle-free. We believe the loan process should be an enjoyable ride.